Emergency dentist Dr. Nazila Satvat will always try to help you with same-day service. There are many reasons why you may need dental treatment in an emergency. 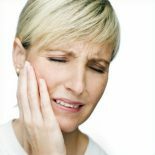 You may have an annoying toothache that won’t go away or you may have been involved in an accident and damaged your teeth. 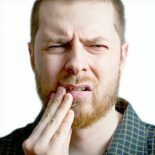 A toothache can affect your daily life so you need to do something about before the pain becomes too bad. Take action right away to avoid it getting worse and to ensure the quality of your life is maintained. Whatever your gender or age, there is no room in your life for pain caused by your teeth. You may be lucky if you only have a mild infection. It could clear up on its own, but even that tooth might sooner or later need proper attention to avoid any further deterioration in the tooth. Teeth are exposed to bacteria on a daily basis and if there is a small hole or crack in a tooth it will find its way in and cause severe pain that you will not forget. If you leave a painful tooth untreated you will make the whole situation worse and in the long run, regaining a pain free life may cost you more. If you have been involved in an accident, whether on the road, at work or at leisure, you may have done some serious damage to your teeth, including fractures and total or partial loss. Your first concern will be any life threatening injuries, but after that you can depend on us to rebuild your teeth. While you peruse over your dental options we can arrange for dentures to be made to temporarily replace any lost teeth. This will enable you to chew and smile while you get your life back together. Because we maintain a full schedule, the chances are we will be fitting your emergency in between patients who have had long-standing appointments. While this means that we cannot promise Dr. SatVat will be able to complete treatment during an emergency visit, we can assure you that Dr. Satvat and her staff will do everything possible to immediately ease your discomfort, diagnose your condition, and provide a temporary solution that will last until a full appointment can be scheduled.